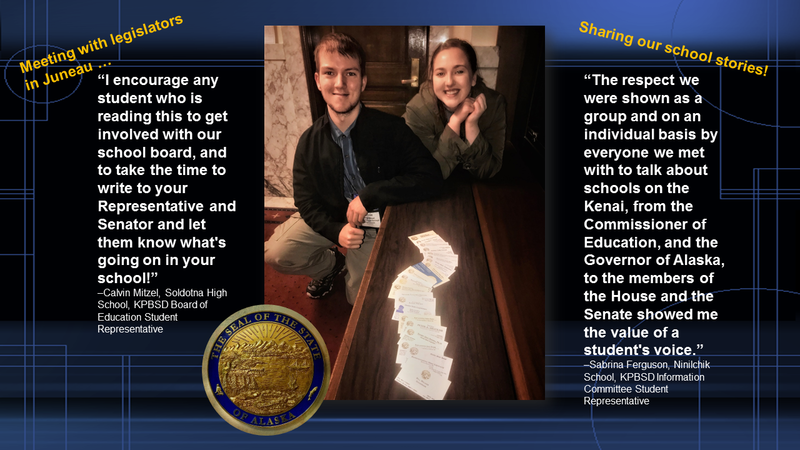 A full weekend of learning and collaborating with school board members and students from around the state, plus two days of appointments with more than 25 legislators to share “Kenai schools” stories was fun, informative, and thought provoking! February 10–13, 2018, two students, three school board members, a Soldotna Prep teacher, and the district communications liaison participated in the Alaska Association of School Board (AASB) Legislator Leadership Flyin and Youth Advocacy Institute in Juneau, Alaska. 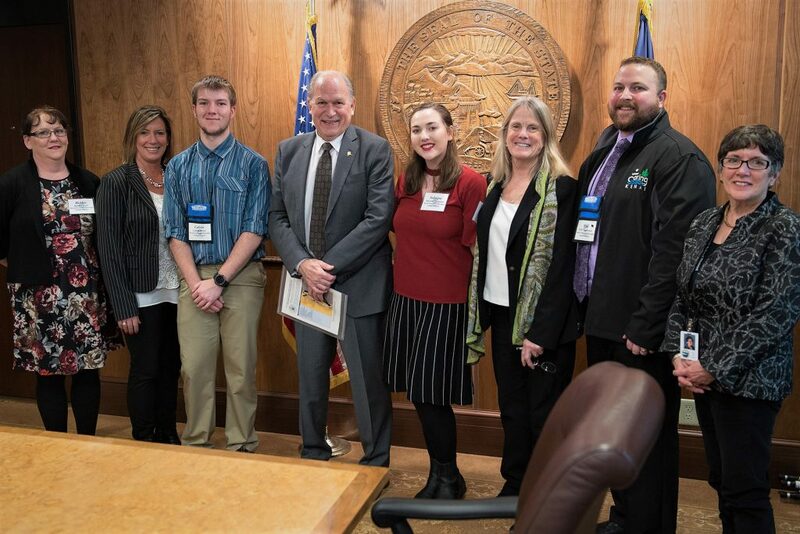 Governor Bill Walker meets with the Kenai Peninsula Borough School District in the Cabinet Room at the State Capitol in Juneau, Alaska, February 12, 2018. This entry was posted on March 7, 2018 at 8:54 pm. You can follow any responses to this entry through the RSS 2.0 feed. You can leave a response, or trackback from your own site.